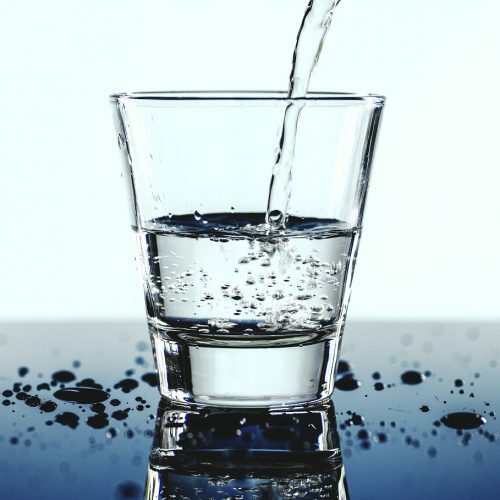 This part of blog is for a people who never had contact with programming or Power BI. I’m want to show you that is impossible understanding this amazing tools without knowledge about programming. In these place I will teach you step by step how to understanding, start using, and have fun with Power BI. Power BI Desktop it makes us connect to data, shape that date and the last we can use that model to create reports. You can save your work in Power BI Desktop file format. Files will be shared like any other file. Power BI Service where you can share your report with another people, publish report and get access your date anywhere. Power BI Mobile here you can connect you data and monitoring your business by phone. At the moment we will be using Power BI Desktop. 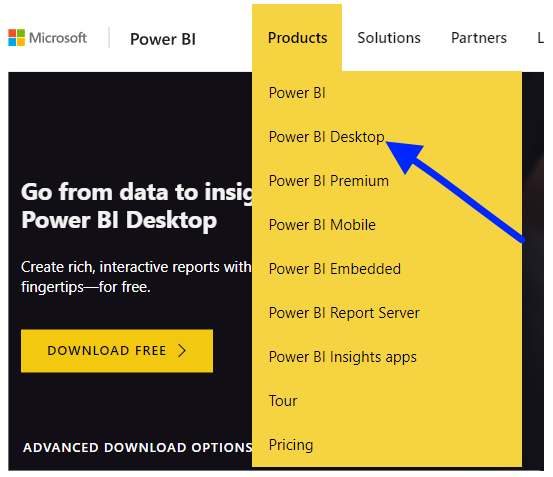 In these post I will show you how to installing Power BI Desktop in your machine. In first step you should installing Power BI application on your machine. Free version MS Power BI Desktop you can find here. In this step, you can register, however, it’s not necessary as long as you use only Power BI Desktop not publishing reports to the Portal. 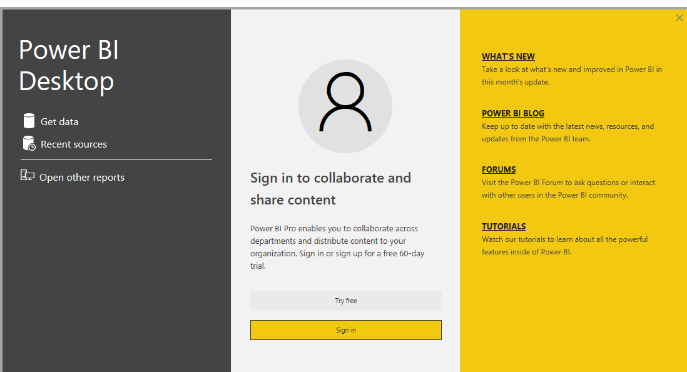 When you download and install Power BI Desktop – first what you will see is Welcome window. In the Welcome screen you can directly Get Data, see Recent Sources and Open Other Reports. 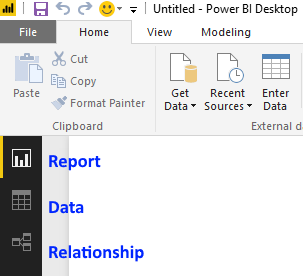 When you close the window the Report view of Power BI Desktop is displayed. Report – we can see here the final process of loading data in the form of graphs. Reports may appear on one or several pages. Relationship – we find here a full data model including links between data tables. On the right-hand side we can see the visualizations panel where are the types of graphs in Power BI, as well we can formatting and model data from the field bar. Visualizations bring your report to life. Thanks to them you can create amazing and completing visual presentations. Below, I describe a list of available out of the box visualizations in Power BI. You can add them to report simply by click. I will show you more details about how to use the most popular charts in the future posts. 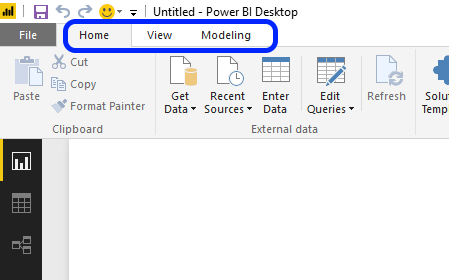 The next post will be about creating a model and ingestion it in Power BI.